Chapter 13 bankruptcy is available for both businesses and individuals. In a Chapter 13 bankruptcy, you will be required to establish a payment plan with your creditors to repay debts within three to five years. Typically, the repayment will not be for the full amount of the debt, but for a small percentage of it, in most cases less than half. For debts which are partially paid in this manner, the remainder will be erased. For example, a Chapter 13 bankruptcy might allow you to set up a five year repayment plan for 10% of a debt. At the end of the five years, the remaining 90% of the debt would be discharged, and you would have no further obligation to that creditor. Indeed, the repayment plan might not require any payments to some unsecured creditors, meaning that debt is discharged entirely. Many clients would prefer to file a Chapter 7 bankruptcy, since it is often faster and will discharge debts instead of requiring a monthly payment plan. Nevertheless, a Chapter 13 filing might be advisable. Your Mesa bankruptcy attorney will be able to explain to you the possible advantages of a Chapter 13 bankruptcy. 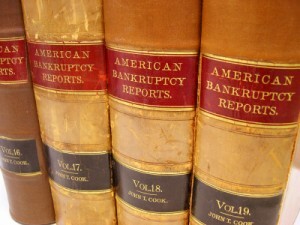 One such advantage is if you do not qualify for a Chapter 7 bankruptcy. Since Chapter 7 has strict means testing, it is important for you to discuss with your Mesa bankruptcy lawyer your income and assets to determine your eligibility. Even if you do qualify for Chapter 7, however, there are many instances in which Chapter 13 would be preferable. For example, you may be able to permanently stop the foreclosure of your home under Chapter 13, unlike with Chapter 7, where if you are behind on mortgage payments you would be far more likely to lose your home. Likewise, if you have other assets you would like to keep and they are identified as non-exempt assets, it is easier to keep them using Chapter 13. 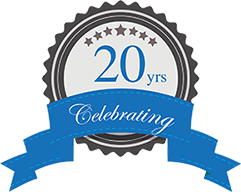 You should consult with your Mesa bankruptcy attorney to develop a repayment plan allowing you to keep as many assets as possible.